Addicus Books has developed a brilliant business model with this book. After I acquired the rights to their divorce book, I found that the publishers Rod Colvin and Jack Kusler were perfect partners in this project. They were responsive, attentive, and supportive throughout the entire writing process. Their level of professionalism and pride in their product is impressive and unwavering. Once the book was published, their efforts to promote the book continued as they spoke with the press, collaborated with my publicist, and continuously checked in to assist in marketing the book. I am proud to have a book published under their tutelage and I hope I have the opportunity to work with them again. As a busy practicing attorney, the thought of having to add writing a book to my list of things to do was at first overwhelming. Where were members of my firm going to find the time to write a book? As it turned out, it was very manageable. The format for the book was Q & A which meant we could draft here and there, when we had time. Addicus Books was very supportive and encouraging and when we had to move a deadline because of unforeseen circumstances, they were understanding. I would encourage any attorney thinking of working with Addicus to do so. Our experience working with Addicus Books in writing Divorce in West Virginia has been unbelievably smooth! Both Rod Colvin and Jack Kusler were supportive and helpful during the writing and editing process. After the book was finished, they went out of their way to help us promote it. Our clients’ positive reactions to the book exceeded anything we ever expected, and it has been a great marketing tool. We are looking forward to partnering with Addicus Books on our next book. Rod Colvin and his team at Addicus Books made a huge difference in the book-writing process. I have authored a few books, and they tend to be excruciating enterprises, but Addicus Books made the process faster, smoother, and a whole lot less frustrating than my other experiences indicated was possible. It was a pleasure to work with folks who did what they said they would do, when they said they would do it, and with none of the unpleasant surprises that tend to pop up in such projects, while helping us complete a product that we were proud to have our name on. Kudos to the team at Addicus! My clients have really appreciated the book—it is very well received. I have some clients who have read it before they come to see me. I saw a guy reading it in the library last week—that was a real thrill. I have nothing but good things to say about the book experience. I am very glad I undertook this book project. It was the best marketing decision I have ever made. In my thirty years of practice, the publication of Divorce in Nebraska has been the most valuable investment I have made in my law firm. The book has had a tremendous impact on our law firm’s success. It set us apart as experts in the field, enhancing our reputations and increasing our referrals from trusted advisors. Potential clients are always impressed when they receive a copy at their initial consultation. This book brings greater value to our clients by focusing on the unique aspects of each case while controlling costs. Clients love it. Addicus Books delivers everything you would hope for in a professional relationship. Their superior support and passion for a first-class publication comes with enthusiasm and uncompromising integrity. I recommend Addicus Books without reservation. Working with Addicus Books made what first appeared to be a daunting task much more fun, interesting, and simple that I could have thought possible. Having written a book before, I was reluctant to undergo that process again, but their enthusiasm about their method and their product was infectious. They delivered on every single promise and commitment and were always open to suggestions that could make the book reflect better on everyone. I am quite proud to have my name on the cover of this book and all of my partners are pleased with the investment we made. I am thrilled with my experience with Addicus Books. They delivered everything they promised. My editor, Rod Colvin, was very supportive and made the process of writing my book simple and painless. I recommend Addicus Books without reservation and would be happy to speak with anyone considering using Addicus Books as their publisher. We have been very pleased with our clients response to the book. They seem to get a lot out of the book. I think the easily understandable question/answer format makes it “user-friendly” and less overwhelming than other books on this subject. The book is great for marketing purposes. We have been wonderfully busy, and I have added two more associates since the book came out. Our clients really seem to like it, and it has truly enhanced my professional profile locally. I have had judges who have bought the book as an overview and refer to it as well. I also hand out the book when I am asked to speak. For a couple of networking organizations, I donate it for the swag bags for the speakers. All the feedback has been positive. I am very, very pleased overall. This book was my first foray into writing a book, and the process was made much easier with the support and assistance of Rod Colvin and his team at Addicus Books. Although my co-author and I had the knowledge of the subject matter, we definitely were not familiar with all the procedures involved in getting a book published and distributed. The process was rewarding, and I’m now proud to say I’ve co-authored a published book. I thank Rod Colvin and Addicus Books—they did everything they promised they would do. The publication of my book has created a whirlwind of publicity for our firm. Suddenly, I have been featured in local magazines (as best attorney), local radio, and even nationally syndicated radio. Clients have appreciated receiving a copy of the book and it has locked in several who may not have otherwise retained attorneys in our firm. On top of all this, working with Rod Colvin and Jack Kusler was a true pleasure. 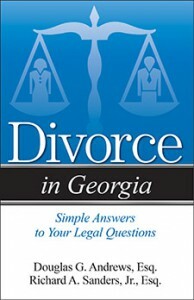 I thank Rod Colvin and his team at Addicus Books for their expert guidance with my book, Divorce in Tennessee. I cannot say enough about what a pleasure it was working with them. The book has been very well received by my clients, and it is definitely a plus to my practice. I am most appreciative for their fine efforts. Rod Colvin and Jack Kusler at Addicus Books were great to work with. They guided us through the publishing process and provided timely answers to many of our questions. The entire production, from start to finish, ran very smoothly and on time. We are very pleased with the finished product. I appreciate Rod Colvin’s and his team’s helpful assistance and flexible approach in bringing this project to fruition. The book has been helpful to my clients and has been well-received. The book is an easy-to-use resource for the layperson contemplating or going through a divorce in Virginia. Just the thought of writing a book was daunting, but Rod Colvin and Jack Kusler of Addicus Books were true mentors, coaches and facilitators, who helped us get us to the finish line. I doubt anyone could have done more to ensure our success. My co-author and I will be forever in their debt. Our reward is a professionally published work, which is helping our clients as they struggle with getting their lives back under control after divorce. Our clients love the book! We certainly chose the right publisher for our book. Addicus Books as there to guide us, assist us, and even instruct us when we needed it. Rod Colvin and Jack Kusler actually made the entire experience enjoyable. We are so pleased with the finished book, and our clients are most impressed. We’ve even had fellow attorneys ask us how we found the time to write a book, and they are so amazed at the content and the quality.